What should you know about what it takes to succeed with Welding? If someone were to tell you that there’s a career field out there that offers good pay, is in desperate need of skilled workers, and doesn’t require a four-year college degree—and in fact only takes 12 months of education and training—would you believe them? Well, you should. Because there is. Welding Program is a career field that has loads of potential and big opportunities for those interested in a secure, good-paying job and who are willing to work for it. At the same time, there are many misconceptions about welding—what it entails, the role it’s playing in 21st-century industry, and how it’s evolving. Some of these misperceptions are that it’s a low-paying job, that there are limited opportunities, that there’s no diversity and that it’s a “man’s” field, and that it’s losing relevance as the world advances with green technology. In reality, none of those are true. So in an effort to bring some clarity to what you may or may not know about welding and if it’s a potential career path for you, here are five key things that are important for anyone to understand. There’s a big shortage of skilled welders right now. In Pennsylvania and across the country, there is a massive shortage of skilled welders. There are several reasons for the shortage—lots of Baby Boomers retiring from the field, surging construction, more rebuilding of infrastructure such as roads and bridges. Regardless of the “why,” the important thing to understand is that welding is poised to offer big opportunities for those interested in a secure, good-paying career field and who are willing to work for it. But don’t take it just from us. According to the American Welding Society, the United States. will be faced with a shortage of more than 400,000 professional welders by the year 2025. And according to O*Net Online, Pennsylvania will see a projected growth in the need for welders by six percent between 2014 and 2024. Welding is not a low-paying career field. Not only is welding projected to experience serious growth and demand well into the future, it also offers very competitive salaries. O*Net Online also reports the median annual salary for welders, cutters, solderers, and brazers in Pennsylvania is $39,690—a figure that tops the national average. Keep in mind that’s the median annual salary, with income rising significantly for welders in certain specialized settings and as they gain experience. Compare those figures to another popular career path in Pennsylvania—oil and gas working Marcellus Shale. O*Net Online reports that the average hourly earnings for welders in Pennsylvania is 50 percent more than entry-level employees in oil and gas. Welding also is a much more secure path than oil and gas, as indicated by countless reports of decreasing demand for Marcellus Shale workers. 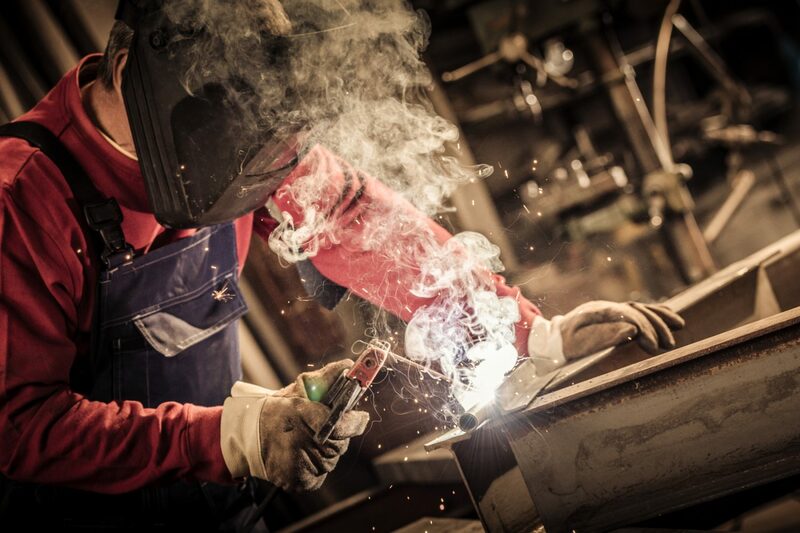 Welding offers a huge array of options when it comes to work settings. And many, many others. Equally staggering is the range of products that welders find themselves working on. There are the obvious, like boats, bridges, cars, agricultural equipment, ships, and motorcycles. But welding is also essential in the production of things like cell phones, computers, and medical devices. So if you ever hear anyone say welding is a one-note profession, you’ll know the opposite is actually true. Welding is part of the green job revolution. When the topic of conversation is green technology and the green-collar jobs of today, welding probably isn’t the first image that comes to mind. But the truth is, welding and the work of welders is a critical component to many aspects of the green technological revolution. Every day we’re seeing more demand globally, across America, and throughout Pennsylvania for clean energy in the form of solar, wind, water, natural gas, and ethanol, among others. But no matter what type of clean energy is being pursued, they all share one thing in common—the need for quality welding. From natural gas pipelines, to solar energy panels, to wind turbines, to water turbines, to piping systems and holding tanks, they all need well-trained, skilled welders to help their operation move ahead as efficiently as possible. The field of welding is constantly evolving in response to a wide variety of factors. New technologies require education and training programs to adjust their curricula, and experienced workers to undergo advanced training. Industry standards changing and becoming more rigorous, such as in automobile and agricultural equipment manufacturing, requires welders to learn new techniques and/or new equipment to adhere to those elevated standards. And other advances within the industry, such as the increasing use of aluminum compared to steel as a way to build more lightweight vehicles and improve fuel efficiency, require welders to be adaptable and master the process of working with materials that they may not have as much experience working with. There’s no doubt that, as a welder, you’ll need to be open to these kinds of changes and willing to constantly re-evaluate your skills and look for opportunities to advance them in a way that reflects the needs of industry. Of course, there’s a lot more to know about welding beyond those five key points. But those are some of the big ones. Which leads us to another important aspect of welding—what kind of personal characteristics, traits, and skills it takes to be successful. The American Welding Society estimates that the average age for welders in the United States is 57. As physically demanding a profession as welding is, that’s more evidence that a huge number of welders will retire soon. And while the perception, and historical reality, has always been that welding is a “man’s” job, things on that front are changing as well. The U.S. Department of Labor, Bureau of Labor Statistics reports that, as of 2014, women made up 4.8 percent of all welding professionals across the country, a number that has been trending up. So, here are some of the key characteristics that it takes if you’re considering pursuing a career in welding. This one’s fairly obvious. As a welder, you’ll be required to safely and securely lift heavy objects, move them around, and confidently handle and work with equipment that can be heavy as well. In addition to strength, there are times when you’ll have to work in very small and awkward spaces, so being fit and flexible also is a big plus. Having good dexterity means good hand-eye coordination and the ability to manually handle tools of all shapes and sizes, as well as objects that can be small and have very intricate components. It takes a steady and confident hand when doing any kind of welding, which makes dexterity a must. Welding is physically demanding, and that includes working in hot and often uncomfortable settings for extended periods of time. It’s important that welders have good stamina and are physically capable of meeting the demands of the job over the course of several hours. As a welder you’ll be working extensively with tools and equipment that, if mishandled, could cause serious injury. It’s crucial that you pay close attention to all the details of the job you’re working on 100 percent of the time to make sure your welds are done as well as possible, and that nobody is injured in the process. Reading blueprints, calculating dimensions, determining correct angles, calculating deposition rates, choosing proper electrode diameters, and interpreting sketches and instructions are just a few examples of how having solid mathematical and analytical skills comes into play for successful welders. In many cases welders are part of a bigger construction and/or fabrication team. As such, you need to bring good communication and teamwork skills to the job site. And there will be times when you have direct contact with customers, so being able to communicate aspects of your work effectively to them and having good customer service skills is also important. If so, the next question is how to go about entering the field and launching your career in welding. In a word, training. You’ll need to find a high-quality welding technology program that will meet your needs and deliver the kind of education and training that employers are looking for. In Pennsylvania, one of the most respected of these programs is the Welding Technology program at Penn Commercial Business/Technical School. Penn Commercial has been educating students at its facility in Washington County for more than 85 years, offering high-quality education and training and preparing students for fulfilling careers throughout the state. With all that we know about the skilled welder shortage throughout the country and opportunities that situation presents, as well as the characteristics it takes to succeed in the field, the Welding Technology program at Penn Commercial could present an ideal path to a new career for today’s workers.